When you first set up the V Planner, you probably noticed that the classes have a formal name and a short name. The purpose for the short name is so that the class name does not take up too much space on the lesson planners. You can choose which class name to display on the lesson planners. 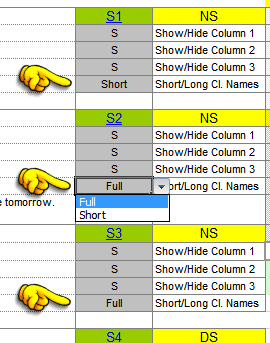 The setting is a drop-down list with the choices of “Full” and “Short”.